We love hash browns and we were keen to try this recipe from thermokate. Kids peel the potatoes while I peel a little onion, whizz it up in the tmx for a few seconds, strain liquid in the basket, then add egg, flour salt and pepper and ready to pan fry. We didn’t bother using the rings, doesn’t have to look to fancy. Never have to buy hash browns again, light tasty and so easy, a great snack item after school or light meal. Prefer this recipe to the potato pancakes in the basic cookbook. 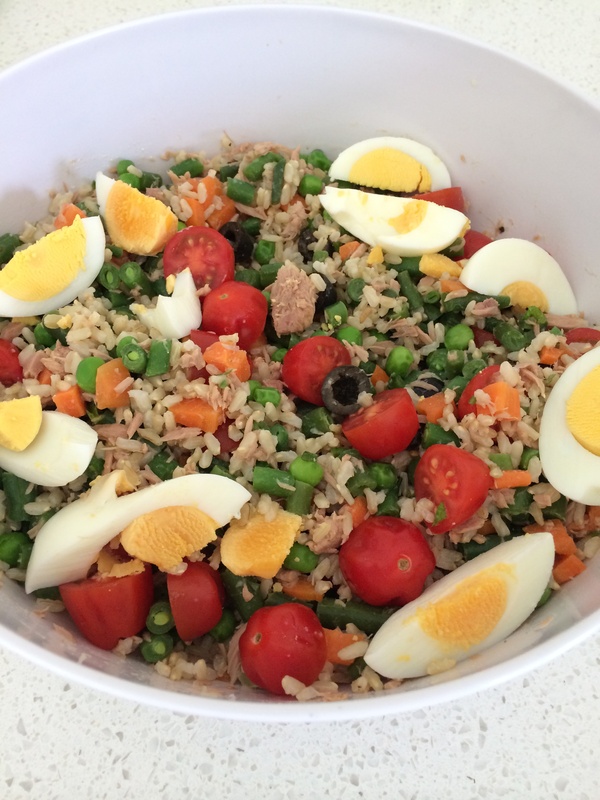 Wonderful guided brown rice salad from the basic cookbook. Vegetables steam at same time as the rice which cooks in the basket. For extra flavour to the rice, added a tablespoon of chicken stock paste to the steaming water. Mixed in tuna, cherry tomatoes, olives, mint, parsley and gherkins at the end. Perfect for lunch boxes and when you need to cook ahead. Yah easy dinner is done before midday. 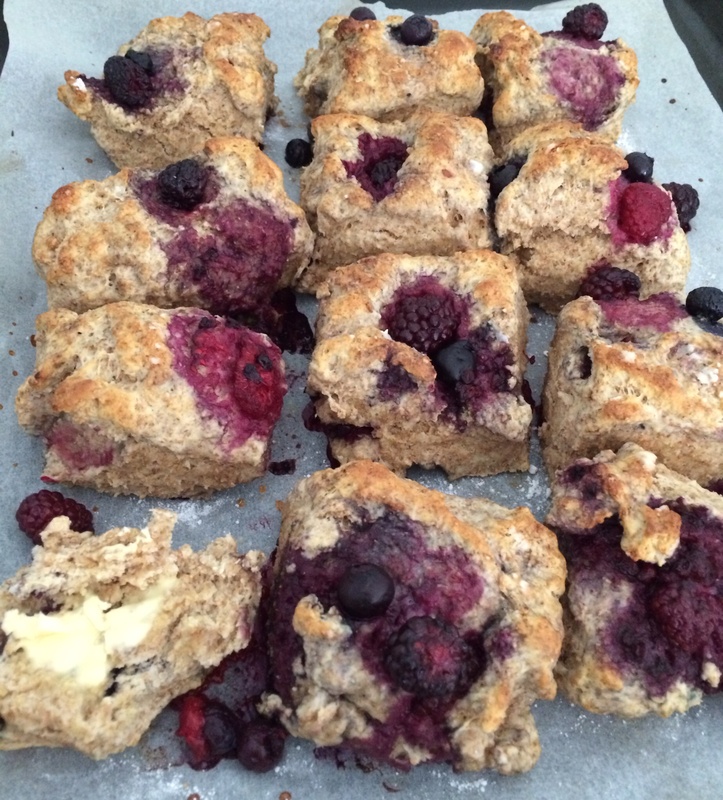 Lovely wholemeal berry scones recipe made from Something for Everyone cookbook. Recipe called for wholemeal self raising flour, 450g wholemeal flour used so I added 5 tsp of baking powder to sub for self raising flour. 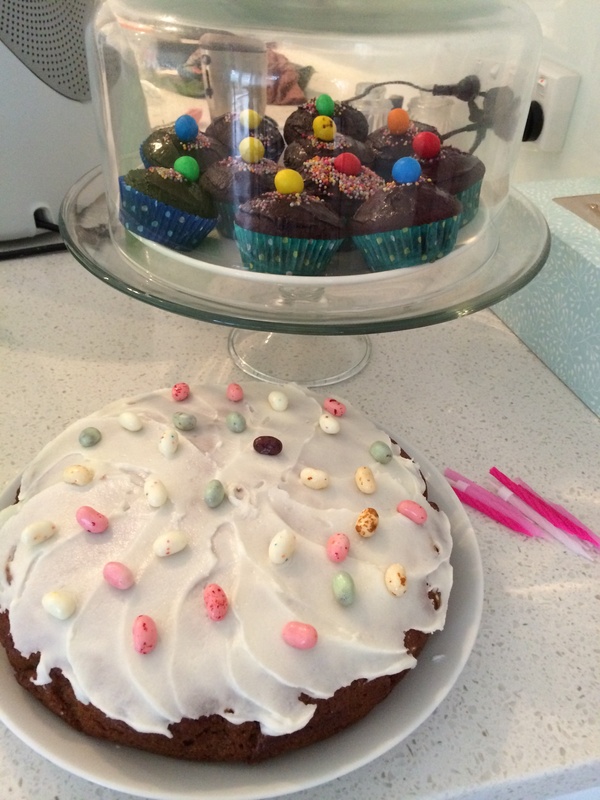 All the recipes have little sugar or salt added to cater for the babies. Used 125 g mixed frozen berries instead of blueberries , next time will add a tablespoon of sugar to flour as she suggests. Very yummy scones, liking the wholemeal texture. 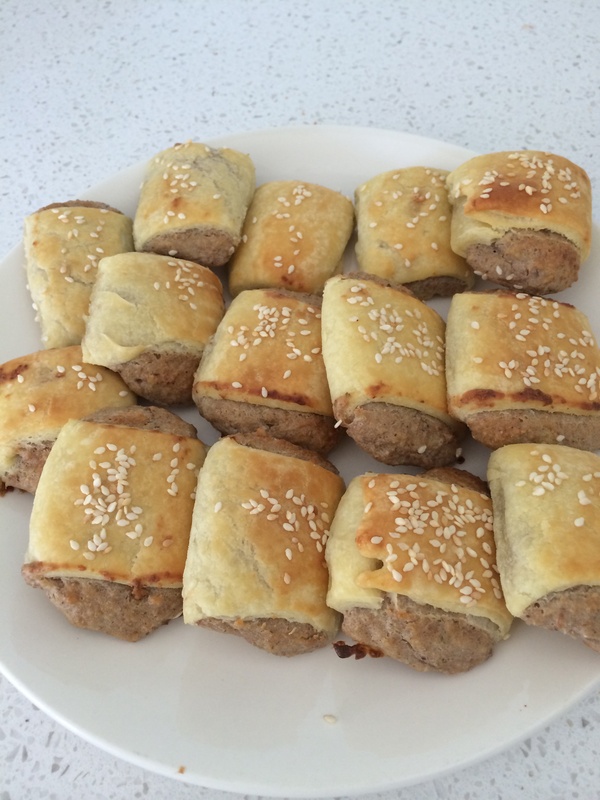 Dont need to use fan bake with our oven, thermomumma’s recipes seem to work better with regular bake function. 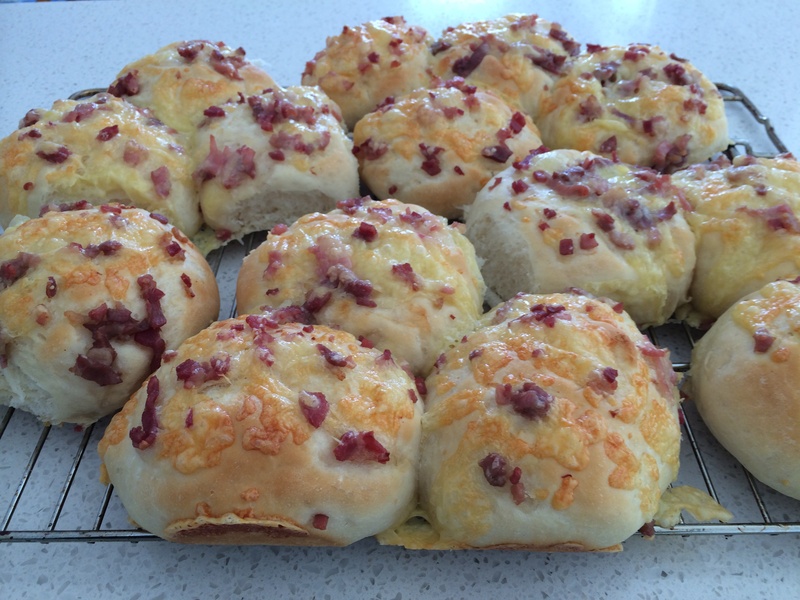 Turn bread rolls onto rack immediately helps the bottom dry. Can use bacon or ham. Banana cake recipe is same as one posted above except used normal flour and 1 tsp of baking powder and 1 tsp of baking soda instead of self raising flour and baking soda in the above recipe. Iced with lemon icing. Preheat oven to 160 C. Line 12 muffins trays with cases. Using the chip for the third Thermomix cookbook ” everyday cooking for families “. The recipe link is above. 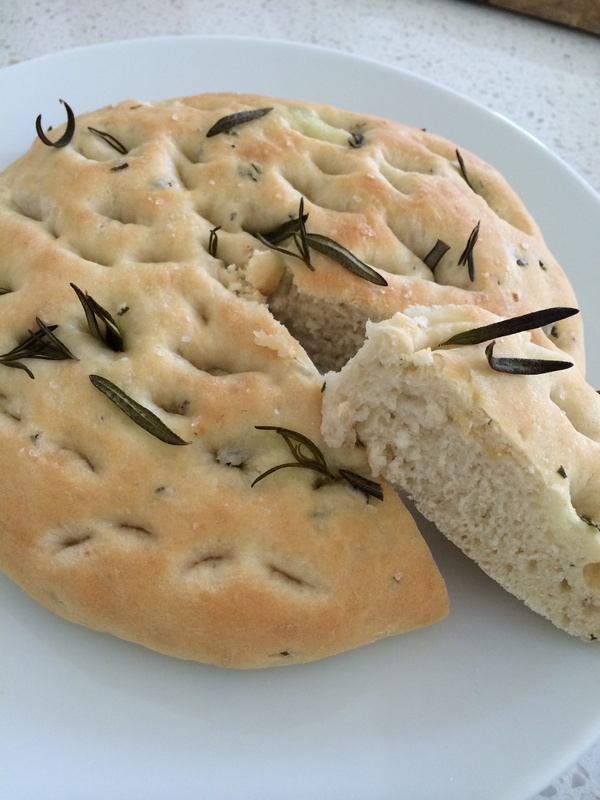 Incorporated the garlic and rosemary into the dough and topped with extra rosemary and sea salt because we love the rosemary flavour and left out Parmesan. Rolled out to approx 2cm thickness and dimpled top so it cooks evenly. Texture is wonderful and soft. Same recipe as pizza dough in the Basic cookbook and chip, except for the added garlic and rosemary flavouring.